Since the ancient times, Gold has been a primary indicator of wealth and was used as a currency for commodity exchange instead of barter. After the introduction of paper money around the 13th century, gold coins soon fell out of favor and gold was adopted as the official standard to determine the price of the paper currency. Even through the gold standard was dropped after 20th century, it is still considered to be a safe haven currency if the economy topples. If you are planning to invest in gold or precious metals, here are some of the top factors that influence the prices. Despite of their vast circulation and use, there are times when the currency loses its value if too much of it is printed. Once the currency is devalued, it is natural that people will look for alternatives for cash resulting in prices of gold and other precious metals to go up. Gold is also known as the crises currency due to the fact that it is unaffected by economic and political changes. You can also check websites such as http://www.Goldirahandbook.com for more information on gold and precious metal investments and retirement benefits. Gold prices tend to rise as soon as the people lose their faith in the paper money. Gold is one of the safest commodities that retain its value despite the inflation or economic crisis. While a currency may lose its value when faced with inflation, it might certainly become a problem, as you would require a larger amount of money to buy the items that were available for a lesser amount earlier. Even if such a crisis might arrive, an ounce of gold still holds much more value than a banknote and is a hedge against such problems. Currencies in most countries are regulated by a central bank that maintains a reserve of cash to provide for the monetary needs of the people. Once the funds in the central banks start depleting or the bank experiences economic problems due to over loaning, the only thing people can rely on is Gold. As gold holds a much higher tangible value than a banknote, its prices are highly affected by any issues with the central banking system of a country. Economic instability affects not only the value of the currency but also lowers the return on investment. This can result in lowered interest rates from banks and financial institutions, which make people, sell their gold in holding to secure additional funds. Such a situation can result in lowering the gold prices making it easier for you to buy more gold. Gold is known for its natural shine and possesses unique chemical properties that make it a favored choice for use in jewelry and ornaments. With more than half of the total gold produced in the world going to the jewelry industry, any fluctuations in the demand can cause a major surge in gold prices. Gold has been known as an indicator of wealth and prosperity in most countries and cultures. Any increases in demand due to the various socio-cultural reasons (weddings, festivals etc.) have a high impact on the gold prices in a country. We all know that no matter how much we want it, gold is a rare commodity and it can only be produced in a limited quantity. This means unlike paper money, there is a considerable amount of money that needs to be invested in order to secure a hefty amount of gold. The production cost of gold is also subject to availability and any rise in the production cost can have a significant influence over its selling price. Prices can also depend on whether the gold was mined yesterday or several years ago as antiquity also comes for a price. 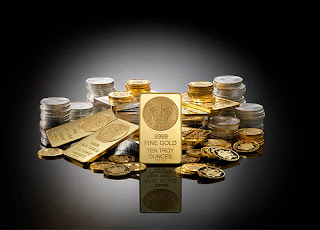 Gold is certainly a much safe investment option as compared to stocks, bonds and other types of indirect securities. As it is a valuable commodity in itself, it will never face any major devaluation even in the toughest of economic conditions.